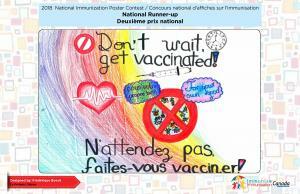 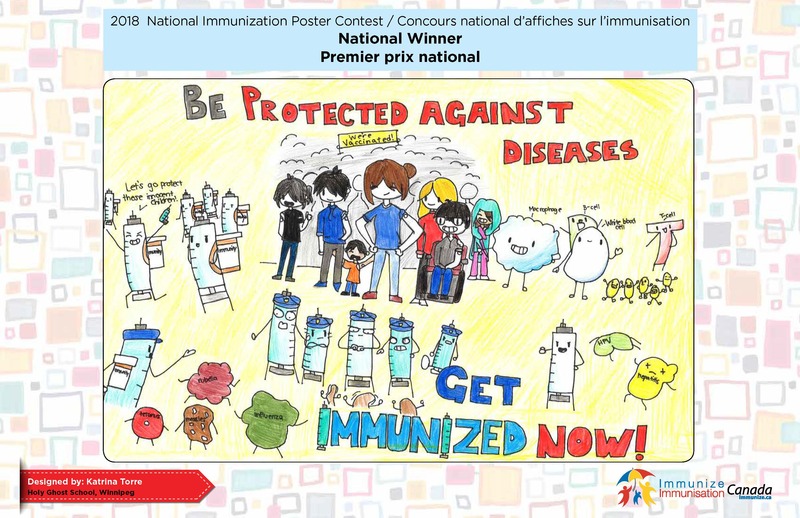 Every other year, Immunize Canada organizes a National Immunization Poster Contest, in conjunction with the Canadian Immunization Conference. 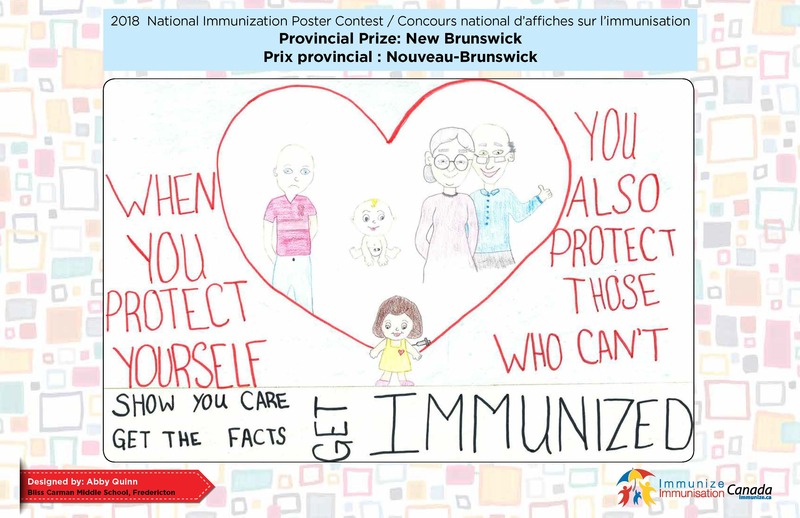 The 2018 contest was held this fall. 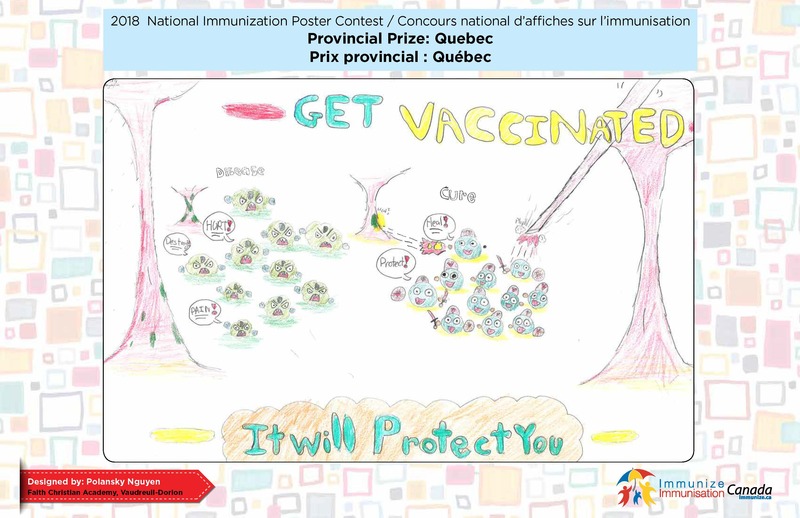 It provided Grade 6 students across Canada with an opportunity to submit works of art reflecting their ideas on immunization for good health. The winning posters will be reproduced and distributed in many formats. 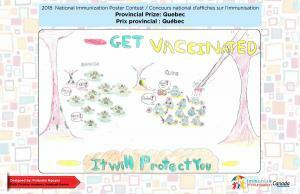 The National Winner will receive an iPad, books, and art materials. 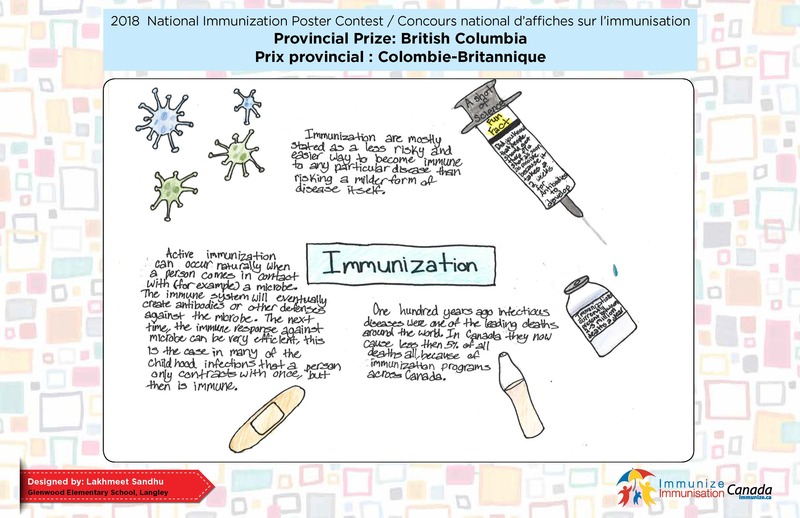 The National Winner’s school library will receive a donation of science- and biotechnology-themed books. 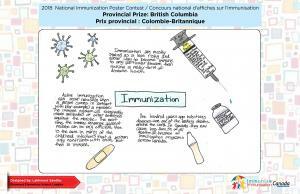 The National Runner-up will receive an Instax Mini 9 camera and film, a science kit, books, and art materials. 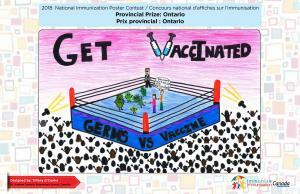 The National Runner-up’s school library will receive a donation of science- and biotechnology-themed books. 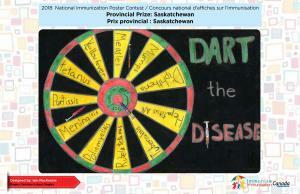 Each provincial/territorial winner will receive a science kit, books, and art materials. 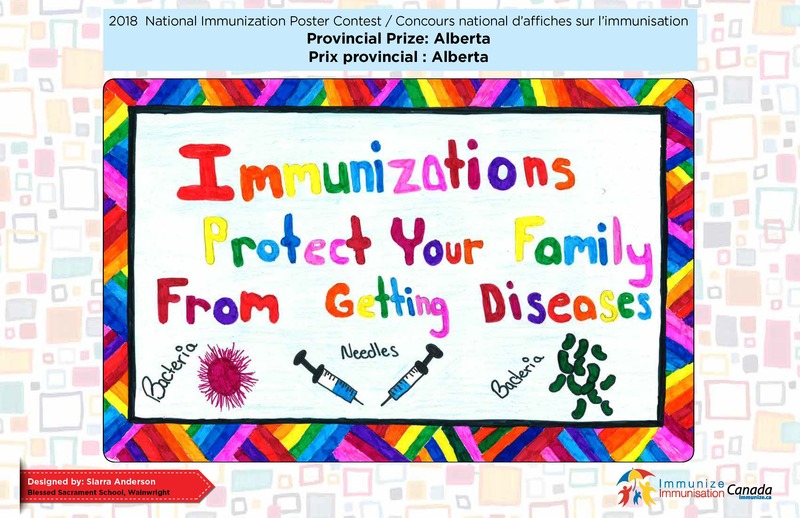 Thank you to BIOTECanada (Vaccine Industry Committee) and to the Canadian Paediatric Society for generously donating excellent prizes to the National Immunization Poster Contest! 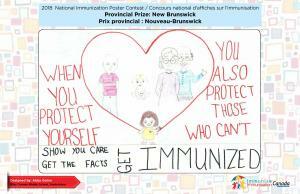 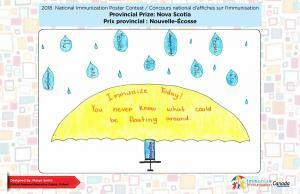 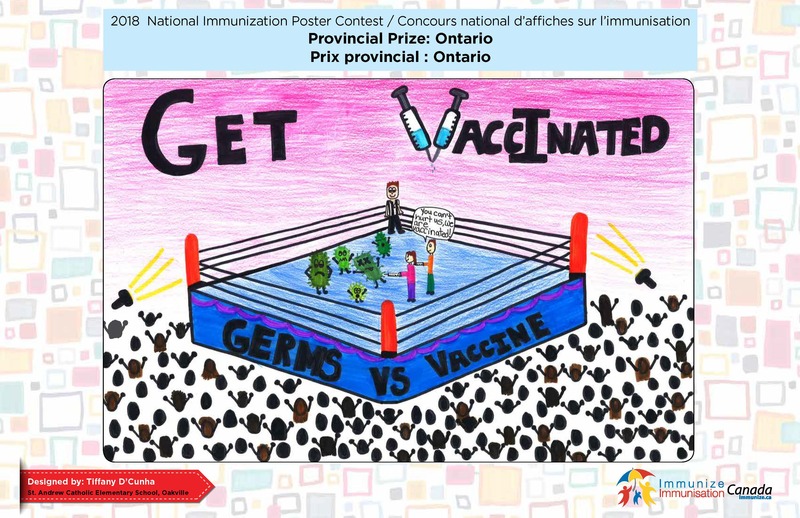 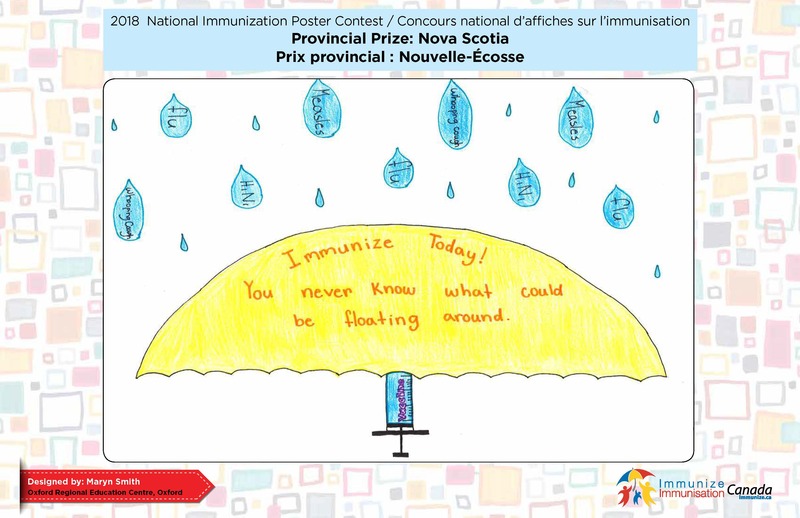 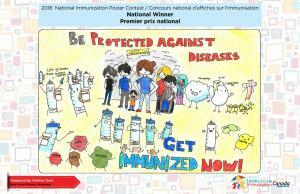 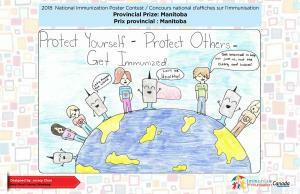 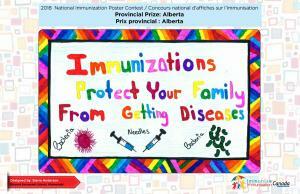 All original paper artwork submitted to the contest will be retained by Immunize Canada. Winning artwork will be reproduced and displayed at the Canadian Immunization Conference in Ottawa, Ontario from December 4-6, 2018. 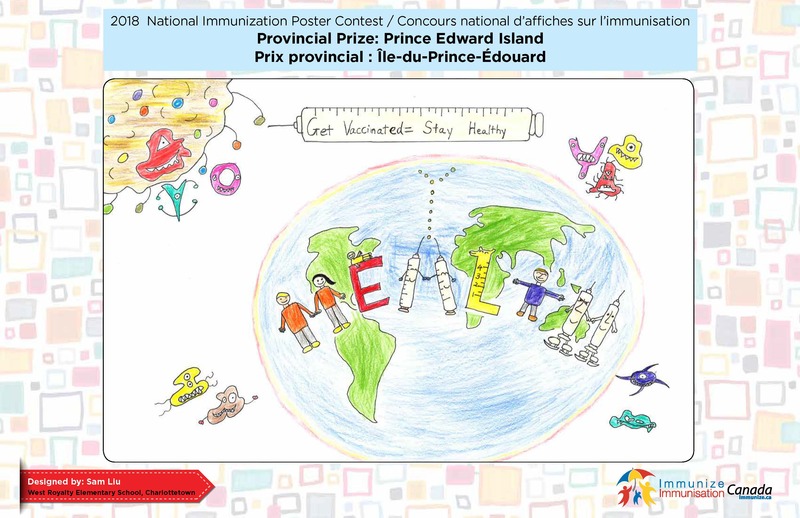 Provides teachers with resources and ideas organized by curriculum subject matter that may be used to prepare Grade 6 students with their poster contest entries. 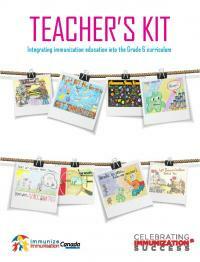 of the University of Toronto for reviewing this kit (revised in 2018). 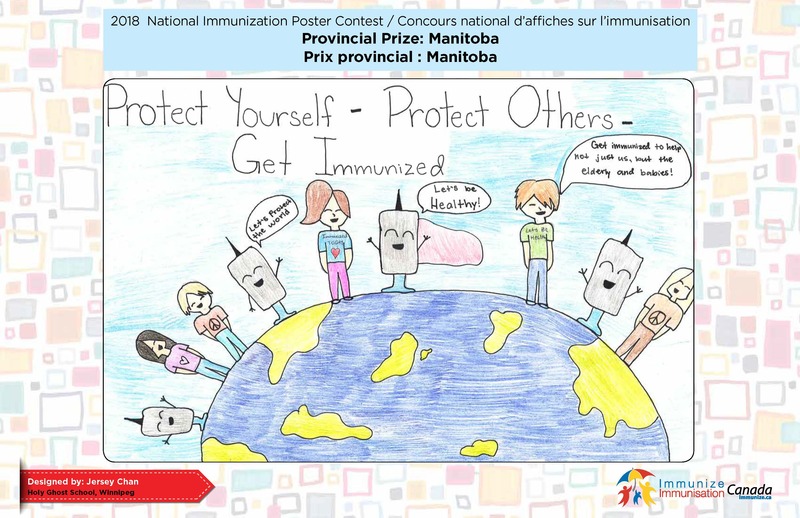 See the winning posters from the 2014 National Immunization Poster Contest.